Tank games are a blast. You roll around in a nigh-invincible metal behemoth running over obstacles, mowing down buildings, and taking potshots at the enemy. But there’s also a lot of great variety. Some games are fast-paced tactical battles, while others require that you manage mechanized minutiae. You might be in charge of a battalion, or on your own in a one-against-many battle where your greatest resource is your wits. 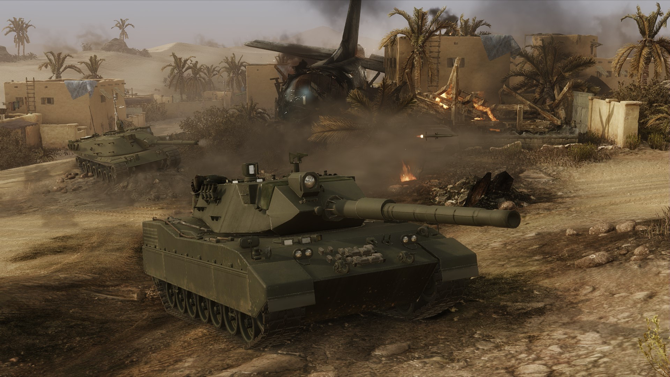 From the ultra-realistic to the slightly crazy, you can find good tank games that mix armored warfare with the tactical or strategic gameplay you’re looking for. And, of course, plenty where you just get to blow stuff up. This juggernaut of mechanized warfare is the absolute king of tank games. World of Tankshas well over 100 million registered players, and set at least two Guinness world records for the largest number of concurrent players on a single server. We reviewed it all the way back in 2013, and it’s only gotten bigger and better since then. But what makes World of Tanks so good? Perpendicular hits cause more damage than sharply angled ones. At too high of an angle, your round will ricochet off of your target. Different tanks have different armor thickness patterns. Your radio signal range determines how far away you can be from allies and still exchange information. Third-person, sniper (first-person), and artillery firing modes all have distinct advantages and disadvantages. Balance these while finding cover, maneuvering into good firing positions, and strategically taking out your enemy, and you’ll win out. It sounds complicated, but it’s a beginner-friendly game. And with millions of players, you’ll always be able to find an online match. 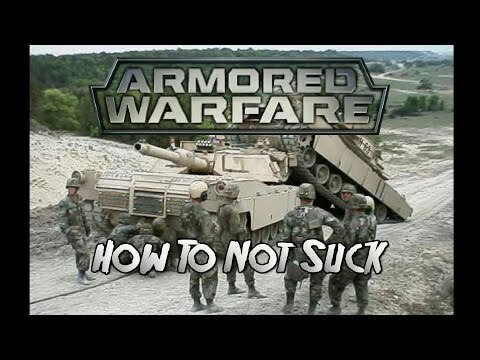 If you want to know what it’s like to get into the cramped cockpit of a tank, Steel Armor is a great choice. You’ll play two different types of games in the same title. The first is an operational strategy game, where you’ll deploy, supply, and repair units on the battlefield. The second is an in-the-trenches, visceral simulation of tank warfare. You can move between the gunner’s, driver’s, and command stations to take over different tasks. And from the command station, you can issue orders to the rest of your troops. There’s no campaign here, and it isn’t a tank MMO like World of Tanks; you create your missions, playing in one of four operational areas. Each battle awards you with experience points that you can use to level up your units. 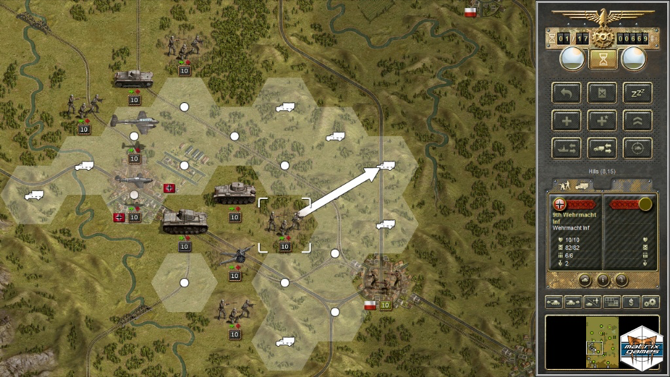 You’ll need to balance map-based tactical warfare with the demands of controlling a single tank to come out on top. 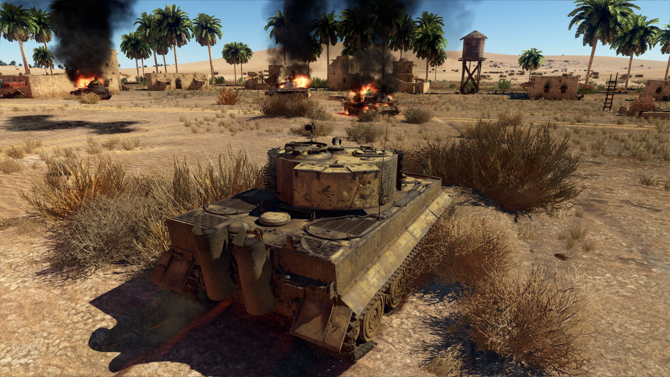 Combine the realism of Steel Armor with the online competitive nature of World of Tanks, and you get War Thunder. This is a free-to-play game that lets you take control of a variety of different vehicles. Including, of course, tanks. There’s a huge amount of variety in this game: over 1,000 vehicles, 80 maps, massive multiplayer combat missions, PvE, and the ability to customize your play experience. You can even play in VR. The sheer number of stats available for the vehicles is staggering. Check out this entry on the wiki for the Cromwell V tank; it includes turret rotation speeds, ammo rack sizes and locations, reloading rates, horsepower-to-tonnage ratio, and a huge amount of other information. Each vehicle is unique, and it’ll take you years to fully enjoy them all. There’s a lot of depthhiding here. 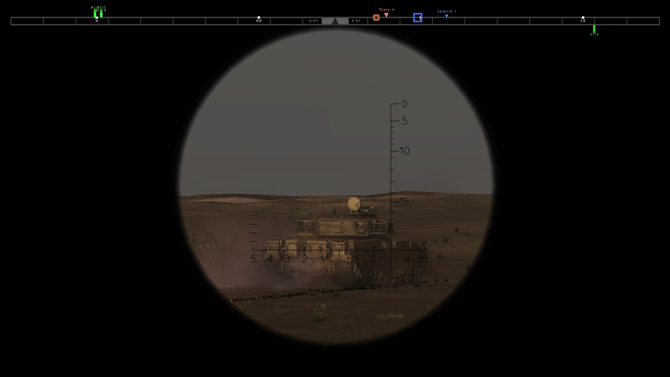 While it might look like a World of Tanks clone, Armored Warfare works a bit differently. It’s a team-based tank game that takes place in modern times, so you’ll use the most up-to-date vehicles in modern settings. The co-op gameplay is especially great in PvE mode, where you’ll have to complete difficult missions with the help of your teammates. One of the biggest draws is the modern environment, where you’ll use high-tech vehicles to wage war in places that—finally—aren’t from World War II or Desert Storm. But once you get into the nuanced gameplay, you’ll see that the combat is engaging and that leveling up takes patience and practice. If you’re into tank games, Panzer Corps is one of the best World War II titles around. Instead of controlling a single tank, you’ll take control of an entire legion of them and guide them, through turn-based strategy, to victory. There are 26 scenarios for you to work your way through, as well as multiplayer that pits your strategy skills against those of online opponents. This is a classic game for a reason. 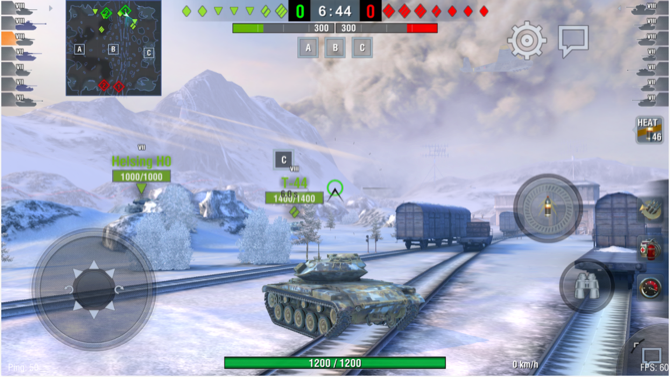 Blitz is the mobile version of World of Tanks (though it’s now been ported back to PC, as well). The app cuts down on the complexity, but keeps the fast-paced combat. 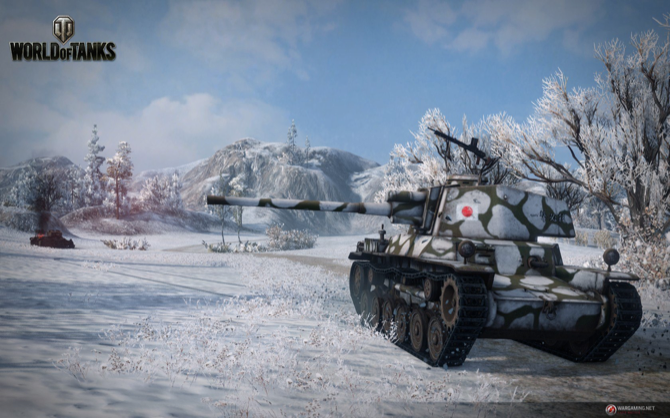 Pick one of 250 tanks and engage in 7v7 battles with players from around the world. There are lots of tanks to unlock and explore, as well as crew upgrades that let you customize the way you play. Although the game was designed with a touchscreen interface in mind, you still might have a little trouble on the iPhone. Stepping up to a tablet will make it a bit easier (though many people do play on their phones with no problems). And like its big brother, Blitz is free to play, so you can get a lot of fun hours in without dipping into your bank account. Blitwise calls Pocket Tanks “the light-hearted game of heavy artillery for everyone.” And despite the apparent contradiction in this claim, the sentiment rings true. The premise of this game is simple; you face off against one opponent on a 2D map, and you’ll need to shoot both the right ammo and at the right angle to defeat your foe. With over 100 types of ammunition, including napalm, dirt mover, fission bomb, lightning strike, and gravity well, you’ll have tons of attacks to experiment with. It’s a silly game, and doesn’t put you in the driver’s seat of a realistic tank. 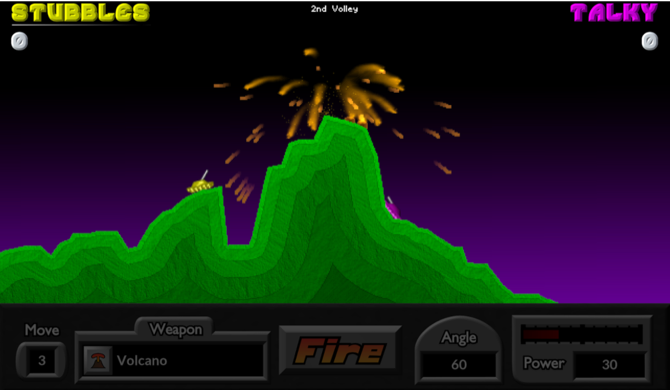 But if you want to lob crazy projectiles at one of your friends, you can’t go wrong with Pocket Tanks. Love the idea of driving tiny tanks around your desktop or kitchen table and firing minuscule projectiles at other armor? Tank Hero is the game you’re looking for. It’s simple, fun, and addictive. 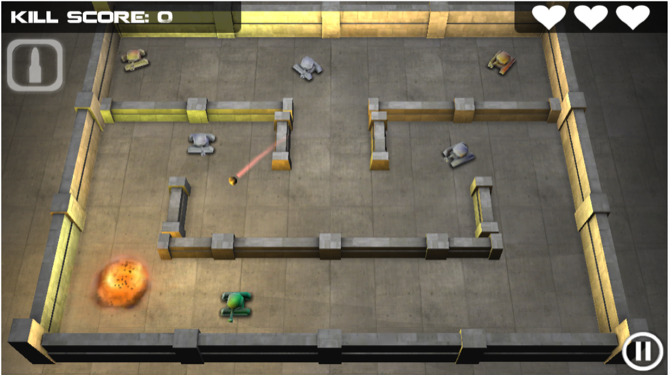 Drive your tank around small environments and launch a variety of rounds at other tanks. That’s really all there is to it. There’s also an offline mode—you won’t be able to play the full game, but you won’t get completely blocked like you will with other games, either. Most mobile tank games are simple, and just require some timing and ability to aim. Finding strategic tank games you can take with you is a bit more of a challenge. 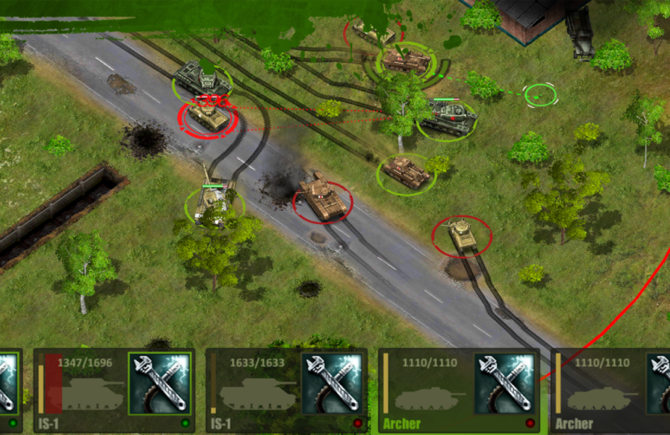 In Tank Tactics, you’ll fight as the Allies, Germany, or the USSR. Build over 100 types of tanks. Engage in real-time tactical battles. And if you succeed, you’ll rise in the ranks. When you’re ready to take on other players, you can fire up the online multiplayer mode that lets you take part in tournament-style matches.